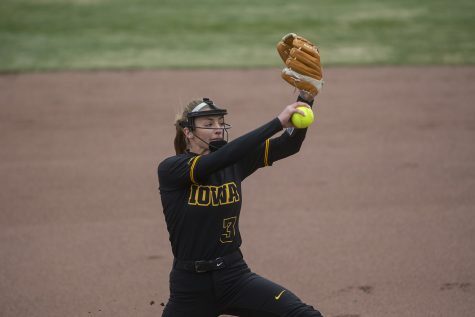 After splitting its two games on Day 1, Iowa responded with two victories on Day 2. 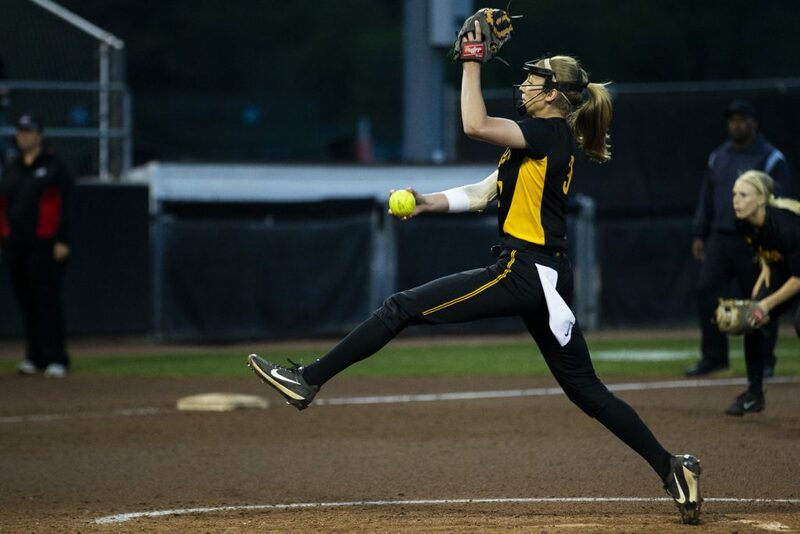 The Iowa softball team closed out the tournament slate of its schedule with a strong showing at the Saluki Invitational in Carbondale, Illinois, over the weekend. 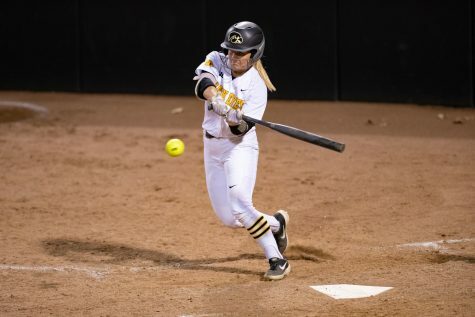 Iowa won three out of four in Carbondale, with a scheduled fifth game being canceled due to weather. 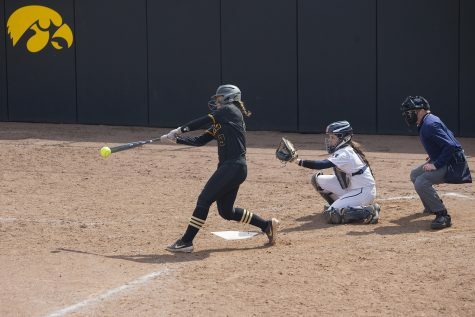 In the opening game against Illinois-Chicago, Iowa got off to a quick start, getting two runners on base in the first inning, and striking first blood in the second. With two runners on in the top of the second frame, freshman Abby Lien hit her first-career home run, putting the Hawkeyes up 3-0. The 3-run lead was one Iowa would not give up for the rest of the game. 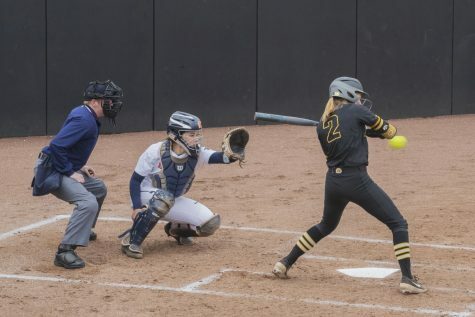 The Hawkeyes added 2 more runs in the fourth inning on their way to a 5-1 victory. Allison Doocy pitched a complete game, surrendering only 5 hits and 1 run while striking out seven. The early scoring did not follow Iowa into its second contest, which it dropped to Wisconsin-Green Bay. 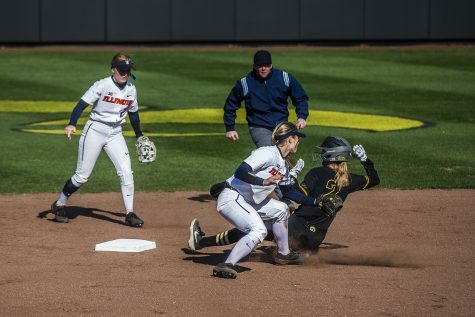 The Hawkeyes gave up 6 runs in the third inning, a deficit that put Iowa in a hole early. Lien came alive again for Iowa in the fourth, hitting a 2-run home run, her second long ball of the day, to put the Hawkeyes on the board. Iowa added 2 more runs in the sixth, but could not finish off the comeback bid, dropping Game 2, 6-4. 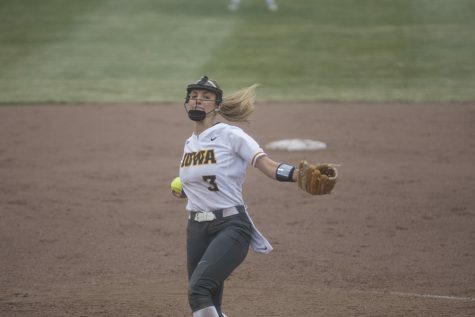 Sarah Lehman got the start in the circle for Iowa in the contest, before being relieved in the third by Erin Riding. Iowa head coach Renee Gillispie saw areas to improve upon going forward, while also commending some standouts from the first day of action. 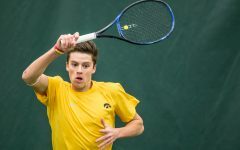 On its second day of competition, Iowa found some sweet revenge against Wisconsin-Green Bay. Iowa put up 1 run in the first inning, 4 in both the second and third, and added 3 more for good measure in the fourth in a 12-0 slaughtering. The top three batters for Iowa combined for 9 RBIs, while the pair of Doocy and Lehman combined for the shutout. 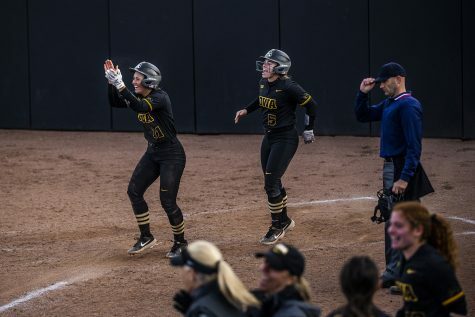 The 12 runs are tied for the most Iowa has scored in a game this season, ranking as the largest margin of victory this year for the Hawkeyes. Iowa would carry that momentum into the final game of the weekend against Miami (Ohio). 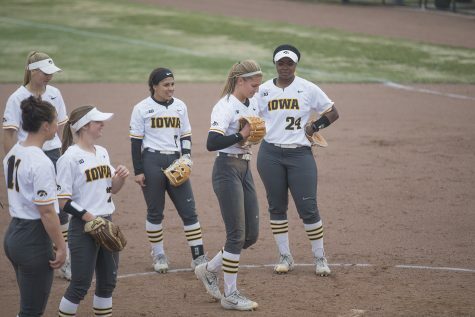 Tied 1-1 in the bottom of the sixth inning, DoniRae Mayhew picked up her second RBI of the game with a single up the middle, scoring Aralee Bogar to put Iowa up 2-1. The two runs were enough for Iowa, with Doocy putting together another strong pitching performance. Doocy pitched a complete game and struck out eight batters on her way to her 11th victory of the season. 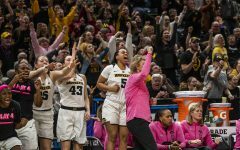 After the four tournament games and three victories, Iowa now sits with a record of 14-9. Next on the schedule for Iowa is a March 20 matchup at Illinois State, followed by a series against Purdue beginning March 22 to open Big Ten play.